With a HBO special, Emmy award winning series, and two major motion pictures under his belt, everyone’s favourite bowtie wearing, mad cap nice guy will be returning to our screens with Netflix original movie Pee-wee’s Big Holiday. As the title suggests, Pee-wee will embark on his first holiday after a fateful meeting with a mysterious stranger, but fear not Playhouse fans, as the below teaser trailer shows his gadget filled, Rube Goldberg inspired funhouse will be in full effect. Directed by Wonder Showzen’s John Lee (so the craziness is in good hands), Pee-wee’s Big Holiday is written by Ruebens and Paul Rust (co-creator and star of another upcoming Netflix original, Love), with Ruebens joining Judd Apatow on producing duties. 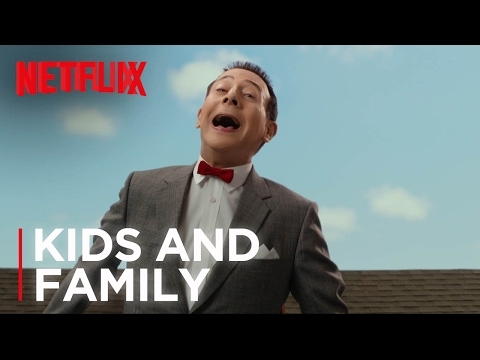 Following a premiere at this years SXSW in March, Pee-wee’s Big Holiday hits the streaming service Friday, March 18th at 12:01pm PT in America, and 8:01 am on this side of the pond.